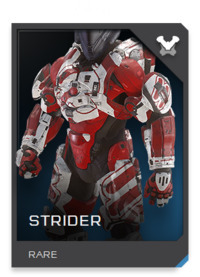 Part 4 covers 26 “Standard” and Thin armors. Let’s start with Standard armor. I define these as ones that are mostly humanoid in shape, not too large, not thin, not angular, etcetera. 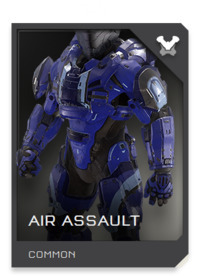 Air Assault is tied to Kat’s armor from Reach. Though the Halo 5 version is definitely different. It’s chest isn’t as bulky and the shoulder armor is more rounded. It’s a enough of a difference that I think it should RETURN. 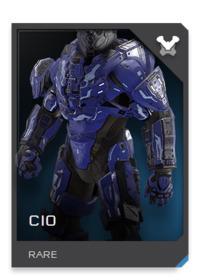 The CIO chest armor is a great fit for Halo. While the shoulders are a little too pointy for me, the rest of the armor makes up for it. 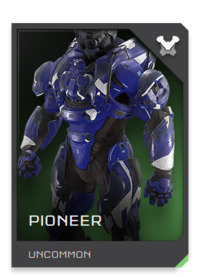 RETURN Oh, on that note, I hope we get some more customization in Infinite. 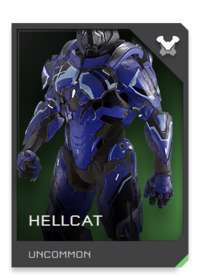 If we can swap out shoulders, legs and such as we were able to in Halo 4, that would change quite a few of my votes. 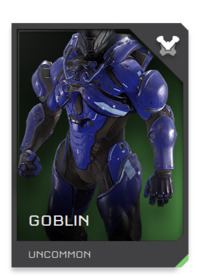 This armor makes me think a little too much. 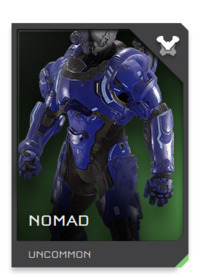 While I like the overall armor, those added bits and pieces just cause too much visual noise too me. 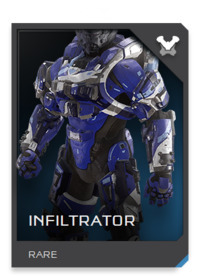 I’m UNSURE about the Infiltrator armor returning. 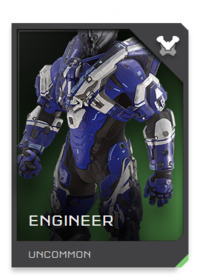 Scanner’s armor is the same as the Soldier armor. I liked it in the character armor article. So I like it here, but not labeled as Scanner. 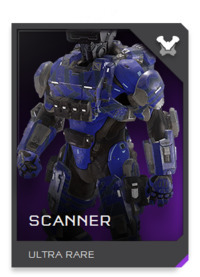 I’d rather Scanner have it’s own armor set. So this is going to seem weird, but UNSURE…. If you take my meaning. 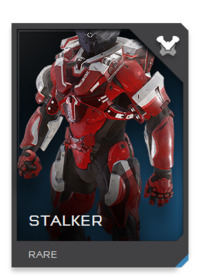 The chest armor of Stalker gives me “Punisher” vibes, which is good. However, those large ‘bell curve’ shoulders look way out of place to me. I’m UNSURE of this one. 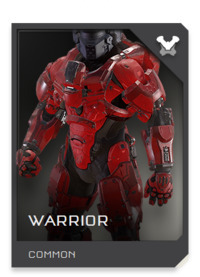 Warrior is already pretty classic as it was used a lot in Halo 4’s advertising. Strong design. Only thing I do not like about it is that ‘bump-up’ for lack of a better term, at the top of the chest. Seems like that would get in the way. Other than that, it most definitely should make a RETURN. And now let’s look at THIN armors. Those that have slender chest pieces and/or shoulders. 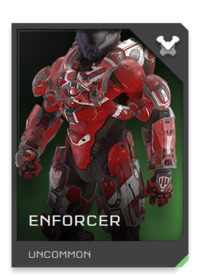 Whew, Enforcer is quite busy to look at. It’s another that suffers from shape confusion. 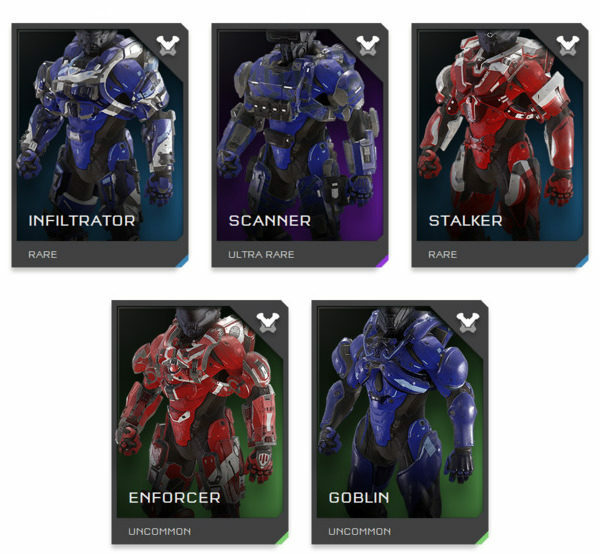 Parts of the armor I like. Can’t say no or yes wholly to this. So I’ll say UNSURE. I like this armor, though the forearms are a bit thin. 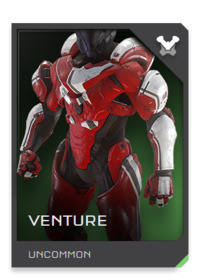 One thing that detracts from the armor is the large over the shoulder harness that isn’t attached. A weak point for sure. I’m UNSURE here. Okay, paradox time… Locus is the same as Aviator armor. I didn’t like it with the Aviator helmet. 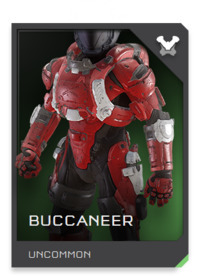 But I like it slightly with the Focus helmet. 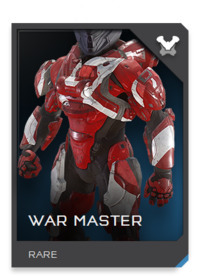 War Master has a very classic-ish design to it. I see it often in matchmaking. Good coverage overall, yet sleek. It’s a MUST RETURN for me. 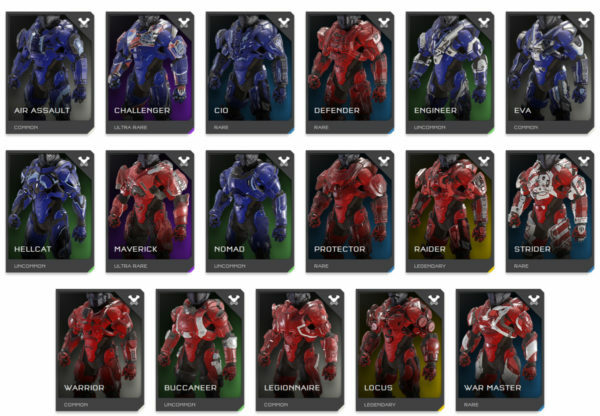 Here’s the listing of Standard and Thin armors I feel should RETURN. 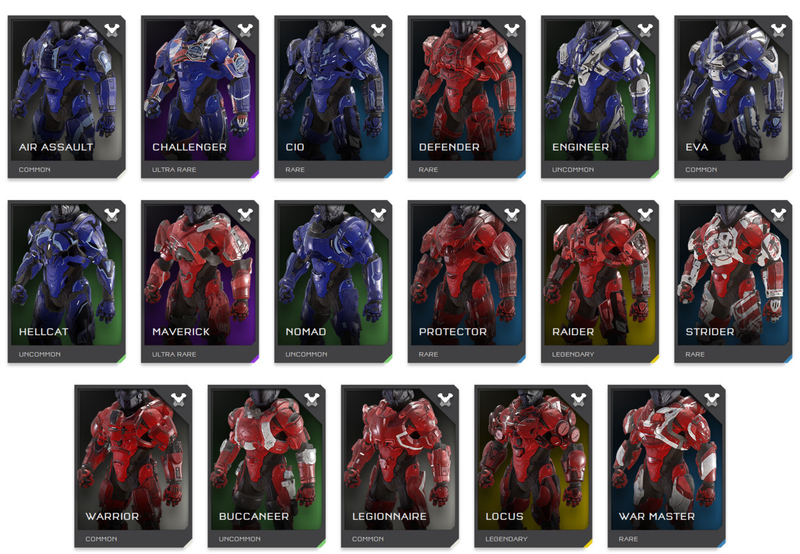 Standard and Thin armors I feel should be GONE. And finally, those I’m UNSURE of. 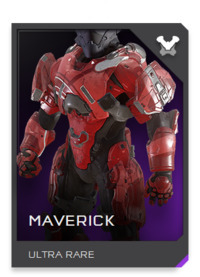 Come back tomorrow for the last article in the series of helmets and armors of Halo 5. This to show the consolidation of which full sets should stay, go, or I’m unsure of. 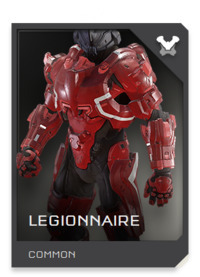 As well, helmets and armors that are displaced. That meaning one or the other should return, but not the full set.